Offering maximum security, thermal efficiency and aesthetics, our selection of aluminium doors help to provide homeowners with an entrance door that not only looks great but performs exceptionally well. 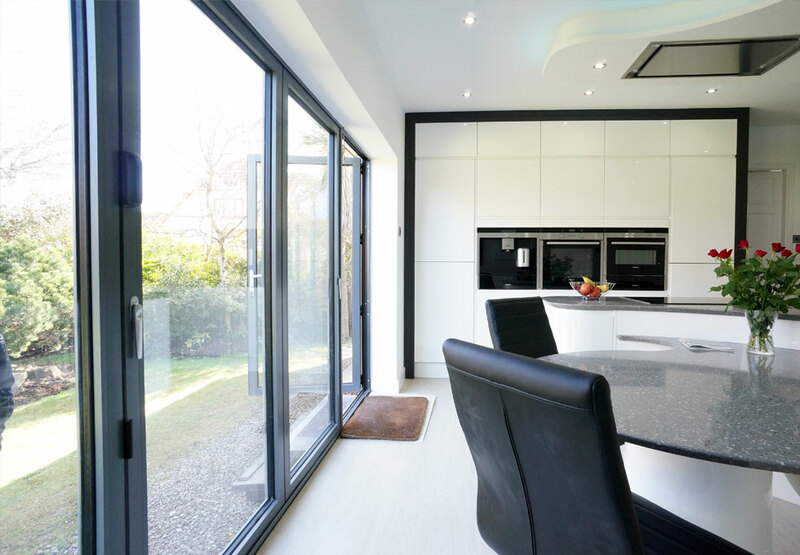 Whereas uPVC doors tend to have thicker frames and can be prone to expansion under severe heat (when not fitted correctly), these types of doors are hassle free and last a lifetime when compared to the shorter lifespans of both uPVC and timber. Acting as a slim line, low U-value system that is available in various profile shapes, aluminium entrance doors are a versatile choice perfect for the modern homeowner. Combine this with any of over 200 different RAL colour options and the result is a product that is unmatched in both strength and personalisation options. All our aluminium doors are thermally broken and feature beautiful glass designs, high security and impressive quality. Aluminium is a very strong material and as such is able to accommodate more weight, perfect for homeowners wishing to integrate a large amount of glass in the slab. 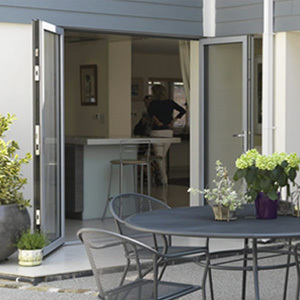 Aluminium door frames are thinner when compared to uPVC or timber, allowing for more glass. More glass means more design capabilities and more natural light, creating a brighter living space towards your home’s front. Because aluminium doors are naturally strong, homeowners wishing to personalise the glass design within their entrance door have more room to work with. There are a plethora of popular designs and patterns to choose from. But, if you’re craving something a little more bespoke, our team will happily work with you and guide you through the process. Tinted, self-cleaning and solar reflective panels are also available for installation within your new aluminium replacement door, to always ensure maximum comfortability despite the natural light entry.